It was all over the news. As a matter of fact, it was probably the closest a pharma CEO has come to being a household name in a long, long time. Martin Shkreli, the heartless CEO of Turing Pharmaceuticals sticking it to the less fortunate. And while it was mostly true, is this story just one small example of a much larger narrative? For those of you who haven’t heard, Shkreli’s company bought the rights to Daraprim, a drug that fights parasitic infections, and almost immediately hiked the price of the drug by 5,000%, from $13.50 to $750 per pill. If this sounds outrageous, it’s because it is, but that doesn’t make it unprecedented. Daraprim, which targets protozoal infections, is commonly used as an antimalarial drug, but it is also used to treat infections in HIV-positive individuals. It is on the World Health Organization’s List of Essential Medicines, which probably didn’t go unnoticed by Turing when the decision was made to raise the price. As Shkreli himself pointed out, Daraprim is a life-saving drug that can only be used in limited applications. All told, Daraprim only fills about 8,000 prescriptions a year, with a profit yield in the mere few million dollars – less than a drop in the bucket by pharmaceutical standards. In such cases, it isn’t worth it for other companies to come up with generic alternatives, which results in a monopoly for whomever owns the rights to the drug. Although Shkreli backtracked on his promise to raise the price, his actions have put the spotlight on a problem that is only getting worse: The skyrocketing price of prescription medications. 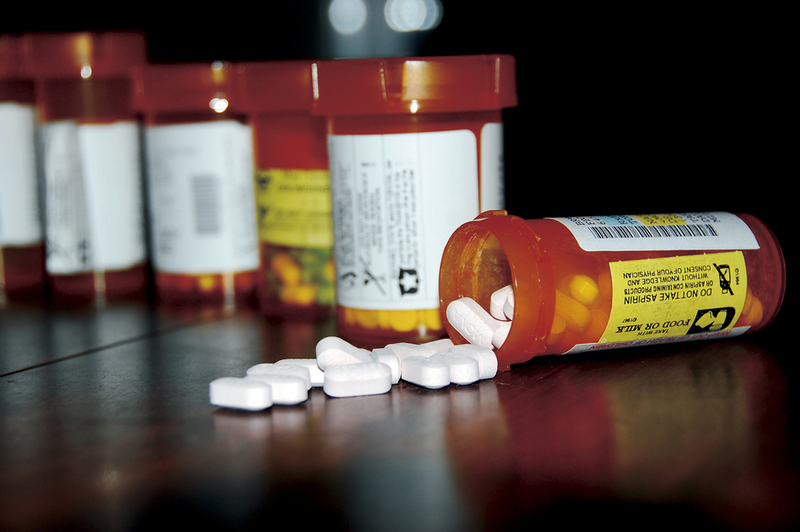 There are a number of prescription medications that HIV-positive individuals must take. Different medications are necessary at different stages of the illness. It’s no secret that quite a few HIV medications, much like Daraprim, have no generic counterpart. Even as high as they already are, are current HIV medication pricing models safe? Other drugs have already taken a hike. The heart medication Isuprel was $215 in 2013 and is $1,346 today. The antibiotic Doxycycline was $20 in 2013 and is a staggering $1,849 today. That’s a whopping 9,245% price increase! Although it may seem like drug companies are running amok in the garden, things may be changing. Whether Shkreli intended to or not, he started a national conversation. Democrats in the House of Representatives recently asked for a subpoena of Valeant, the pharmaceutical company who hiked the price of Isuprel. If their request is granted, Valeant will be required to provide information explaining how they price their drugs. Shkreli has done is best to try and classify Daraprim as an “orphan drug,” meaning it was developed primarily to treat a rare medical condition – a claim that isn’t exactly true. The term “orphan drug” generally applies to patented drugs, but Daraprim’s patent expired 62 years ago. In addition to that, Daraprim is used to treat toxoplasmosis, a disease that mainly targets people with weakened immune systems, such as people living with HIV, the elderly, and pregnant women. These three demographics hardly represent a group living with a “rare medical condition,” as Shkreli asserts. Shkreli also said that hiking the price of Daraprim would help Turing develop a more enhanced version of the drug later – another a dubious claim. The fact is, most drug companies use a model that provides them with funding from private groups for their research. Private sources of funding that have no desire to dump barrels of money onto a project that will provide a miniscule return on investment. A drug like Daraprim, you might say. This is a bittersweet story. There is a justified sweetness in becoming privy to the cloak-and-dagger pricing structures used by billion dollar pharmaceutical companies. But the raw greed and money-driven tactics huge corporations use to further line their pockets tastes quite bitter. And even though enterprising politicians have suddenly come out with guns blazing, can they really put their money where their mouth is? Better yet, after big pharmaceutical companies are done, do politicians really need more money in their mouth? Between 1990 and 2008 pharmaceutical and health product companies gave an astonishing $167 million to federal candidates. And the largess didn’t end there. In 2012 ‘Big Pharma’ quietly dropped a cool $51 million into the federal elections. In 2014 that number was nearly $32 million. Looking at these numbers, it’s not unreasonable to ask why the price increases for some of these drugs must land at the feet of the lowly consumer. But then again, it’s not the consumer writing the laws. Will the current outrage be enough to reverse the trend? Only time will tell.